Over half of all mobile money services worldwide are located in Africa, which indicates the massive use of these services. In September 2017 the total number of active mobile payment accounts reached 100 million. Even if it seems like the market could be nearly overfloated, is there still some room for growth. The number of active users is still growing and there is some room for improvements on technology and margins of payments. The fee for transactions is one of the highest in the world, this is especially a problem for users only doing small transactions. Because of that some providers changed the system, that very small transaction doesn’t get extra billed with a fee any longer. To use mobile payment, it is of course necessary to own a mobile phone. 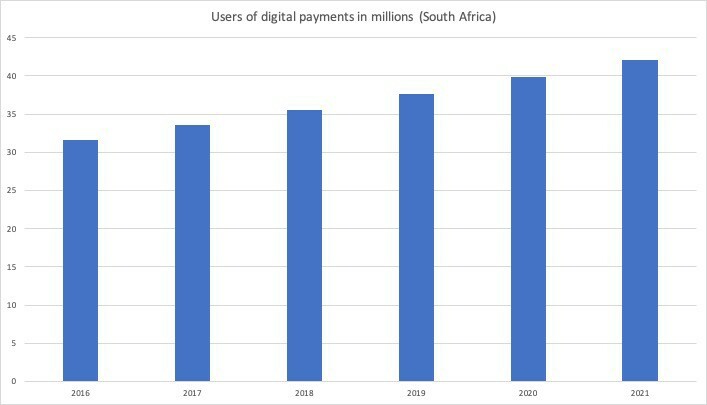 In this connection there can also be observed a rise of mobile phones in South Africa. There are of course also some advantages for customers or users of mobile payment. One of these benefits is that it makes banking faster and easier for people. Many people may not have a bank account, as the bank is too far away from their home and expensive too. With mobile payments, the bank comes closer and faster to the customer. Furthermore, mobile payments allow people to send money straight away to everybody, even if they are far away. At least will people also have a better overview of their money, no matter if they do business or using the money to buy things or goods, they can always see all transactions on their mobile phone. These advantages may also have influence on the growing number of users. There are some challenges with the paper money in Africa, which is one of the biggest reasons for, that mobile payment is so popular in Africa. One of the main reasons mobile payments are used, is the easy accessibility, as the users can always access their mobile phone to send and receive money. 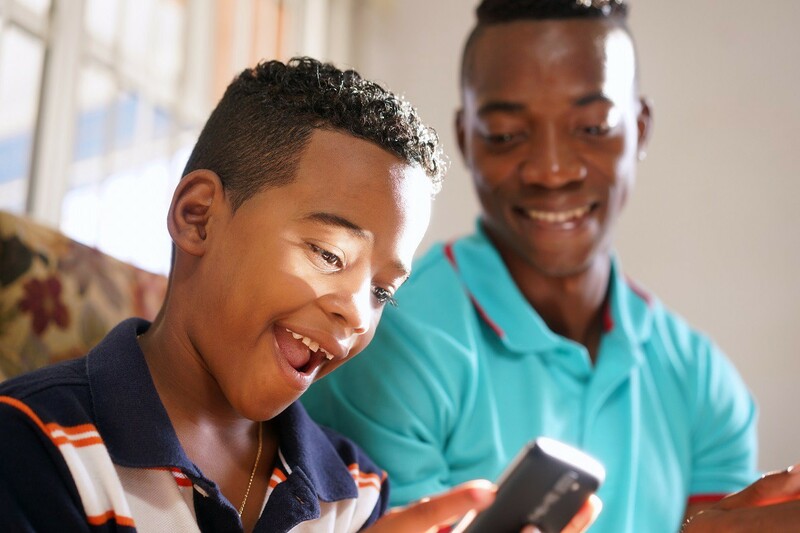 Furthermore, is mobile money very popular because of its convenience and speed. All these things the mobile payment can do, are things that are not possible with paper money. 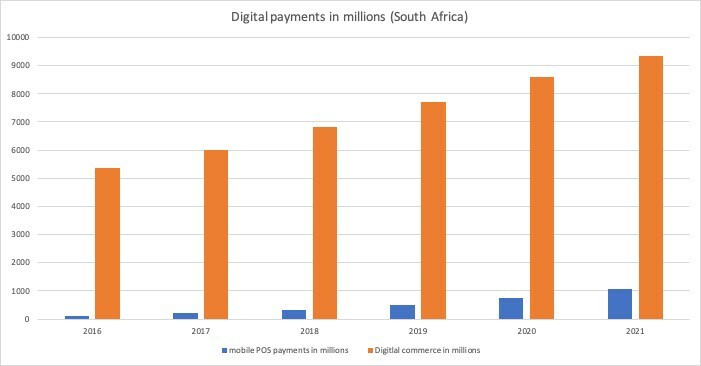 In that way mobile money seems perfect in that situation, and it can also be observed that the digital payments in South Africa has risen and is forecasted to rise even more. As a conclusion, it can be said that mobile payments are very important in Africa. It opens up many opportunities to as well businesses and consumers and helps them in their daily lives. 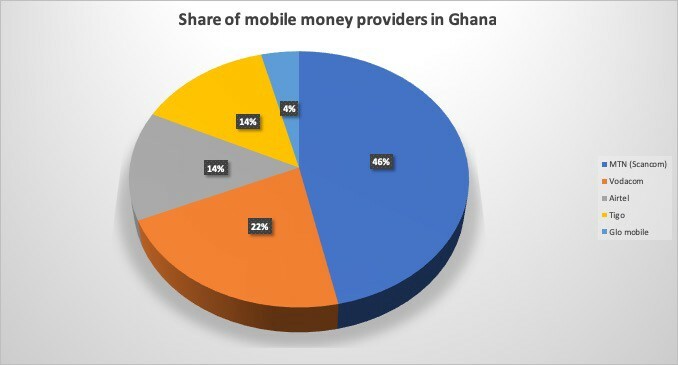 There is still room for improvement for the services and technologies, and some countries are more into mobile money than other. In the following chart it can be seen how the use of mobile phones is distributed among six of the biggest African countries, which may help to give a good overview on the situation in Africa (2018).